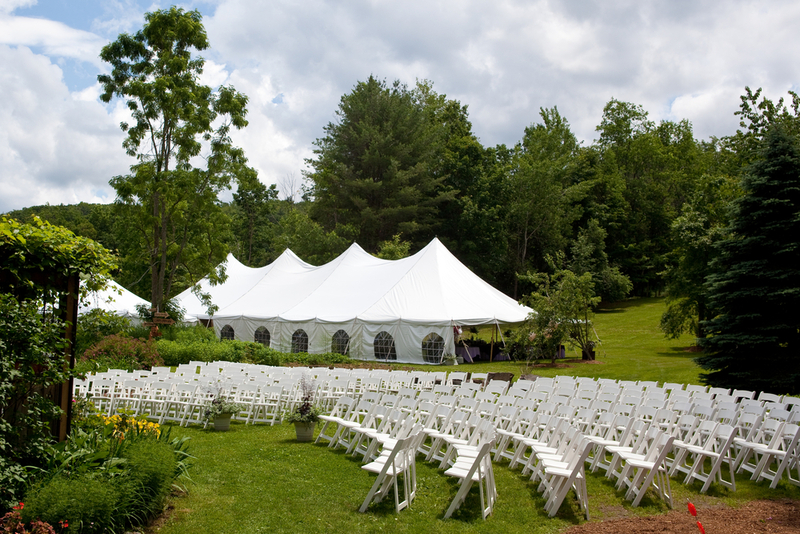 A tent can help keep event guests protected from rain, snow or wind. It can also help to provide refuge from intense heat, humidity or sunlight on a summer’s day or night. However, if the tent is not properly maintained, a variety of problems could occur, and an event host could be liable for any damages. Therefore, a tent should be inspected prior to being installed. Whoever is installing the tent for you should do a visual inspection to make sure that there aren’t any holes, rips or tears on the tent cover itself. If any are discovered, they may be taped or patched depending on how large they are. In some cases, it may be necessary to replace it altogether. Ideally, the cover will be power washed prior to going up to make it look as bright as possible. When the ground gets wet, it could cause anchors to become loose or to shift from their intended position. This could put extra stress on ropes used to connect the anchor to the cover. Therefore, ropes should be looked at to ensure that they aren’t likely to snap or otherwise fail to hold important components of the tent in place. If a tent is going to be up for several hours or days, it may be best to do multiple checks to be safe. If you are planning on working with companies that offer tent rentals in Las Vegas, be sure to put the right to have a tent inspected in the rental deal. Fortunately, reputable rental companies will work to make sure that you are satisfied with your experience and that you get the most for your money.